Can anyone give me a recommendation on how to become current in my Thorp? Living in AZ. Looking for and to get in contact with a CFI that owes/flys a T18 Thorp. What have others done within the T18 forum/society to over come this step..? Last edited by Anonymous on Wed Feb 02, 2011 9:27 pm, edited 1 time in total. What part of AZ. I'm live in CO, but my thorp is in. CA and I'm hoping to go get it in the nested week or two and was maybe going to stop in PHX on my way home. You can reach me at 970-396-5830. Last edited by admin on Wed Feb 02, 2011 11:53 pm, edited 1 time in total. I live in Queen Creek, AZ. 30 miles SE of Phx. How did you become currewnt in your Thorp? Last edited by admin on Sat Feb 05, 2011 9:28 am, edited 1 time in total. There are two Thorp-owning CFIIs in North Las Vegas. Both are retired AF fighter guys. Jim "Cubes" Grahn (F-15E) and Fred "Spanky" Clifton (F-16). I can be reached at 707-271-2645. I'll have to ask Cubes if he might be interested, although he's down for his annual at the moment. Last edited by admin on Sat Feb 05, 2011 12:23 pm, edited 1 time in total. YES, I AM A CFI. I WAS QUALIFIED IN TAIL DRAGGERS WHEN I BOUGHT MY THORP, BUT WITH THAT SAID, THE GENTLEMAN THAT I PURCHASED MY THORP FROM WAS ALSO A CFI AND I ADDED HIM TO MY INSURANCE AND HE FLEW WITH ME FOR ABOUT AN HOUR AND SIGNED ME OFF TO MEET MY INSURANCE REQUIREMENTS. I HAVE MY THORP INSURED THROUGH AOPA. IF YOU DON'T HAVE ANY TAIL DRAGGER TIME, YOU MIGHT FIND SOME ONE LOCALLY TO GET YOUR TAIL DRAGGER INDORSEMENT AND THEN GET CHECKED OUT IN YOUR THORP. Last edited by admin on Sat Feb 05, 2011 1:05 pm, edited 1 time in total. Thk u for getting back to me. Have you gone to LA to pick up your Thorp ? I do have a tail dragger endorsement and stick time in a super cub, citabria and a super Decathlon. My plan was similar to what you described. The problem I'm running into ...the CFI I spoke to is tall and feels cramped in the RH seat. Last edited by admin on Wed Feb 09, 2011 10:18 pm, edited 1 time in total. Thank you Fred "Spanky" with this information. I'll call you and discuss this in more detail shortly. Las Vegas is not very far from Phx. This would be a great! Last edited by admin on Wed Feb 09, 2011 10:23 pm, edited 1 time in total. HAVEN'T GONE FOR MY THORP YET BECAUSE OF WEATHER. MAYBE NEXTED WEEK. Last edited by admin on Thu Feb 10, 2011 11:46 am, edited 1 time in total. 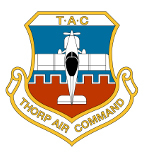 Any Thorp CFI's on the East Coast? I have communicated with Cubes and we have a back up plan. Yet I was hoping someone might be available on the East Coast. I'm a new T18 owner and my insurance company is requiring 5 hours of dual from a CFI with T18 time that they approve. Are there any CFI's in the Midwest with some T18 time? I live just outside of St. Louis and my plane is based at KALN in Bethalto Illinois. I am not a CFI but have a lot of t-18 time. I am delivering a c172 in SC in a few weeks. if your trying to get it back maybe we can work out something and I could bring it back for you. let me know. Ethan Malavolti here in Terre haute, Indiana is a CFI and FAA examiner. He has tons of tail wheel time and did my check out in the thorp. He has time in multiple RV, Mustang mini and now a thorp. He is very reasonable on cost as well. Anyone over in the midwest needing a CFI to sign you off in them might want to contact him. It was easy for Avemco to insure him since he ferry's planes and has been put on many pilots' insurance. Im buying N89ER tomorrow and would love to get checked out ASAP. I have lots of short coupled tailwheel time just need some type familiarization. Nevermind! Found a local guy who used to own one and does a lot of checkouts. Excited to get my Thorp and start flying it! It needs cleaned up a bit put I'll post a proper intro into the forum when I get it tomorrow.